Down hoody jackets are a great layering option year-round — whether you’re bundling up in the middle of winter, or need that warm layer when you get to camp in the summer. Down can’t be beat for warmth, weight, compressibility and longevity — perfect for packing along on a lot of different adventures. Down hoodies are particularly nice because the hood adds a lot of warmth for a little weight, and can take the place of a beanie or warm hat. 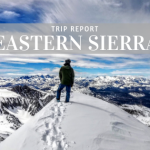 Layer it under a shell in the winter while skiing or snowboarding, or wear it into your sleeping bag at night backpacking in the summer in the mountains when the temperature drops. Here are a few of our favorites, from the ultra warm to the ultra light, the fashionable to the affordable. We think once you check these down hoodies out, you won’t want to leave home without one either. 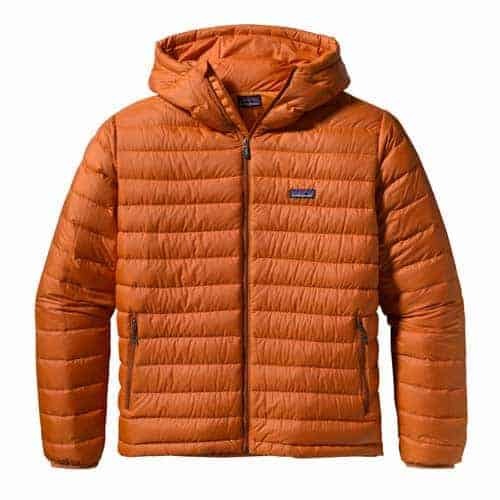 The men’s Patagonia Down Sweater Full Zip Hoody (also in women’s) set the mold for down hoodies, combining warmth, light weight and packability into one great piece. Combining top-quality down with light-weight, recycled content fabric and topped with a water-resistant finish, this down jacket is a great all-rounder. Hand warmer pockets and an internal mesh pocket the whole jacket can be stuffed inside round out the Patagonia’s features. 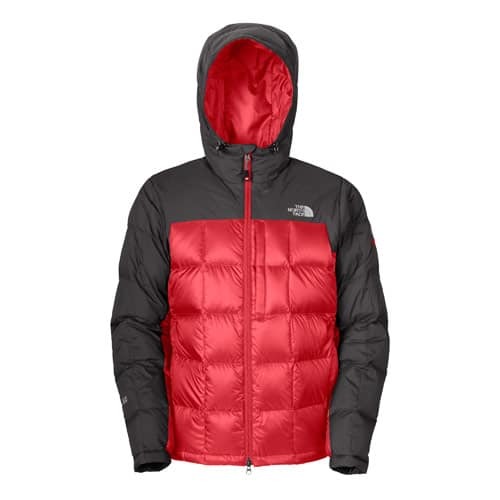 The North Face Catalyst Down Jacket is the warmest of the bunch, part of The North Face‘s elite Summit Series and aimed squarely at serious expeditions — but great for anybody looking for a lot of warmth. 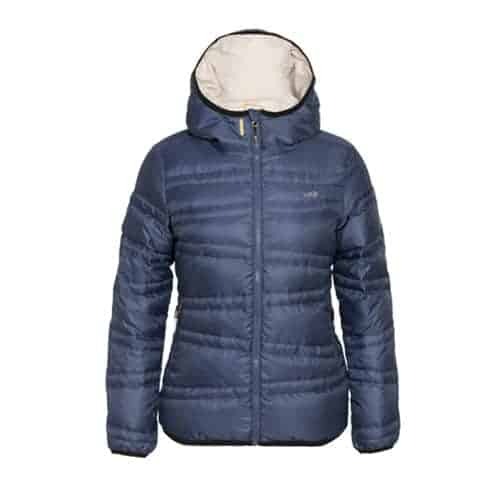 The classic quilted design, with more durable, water repellent material on the shoulders, sleeves and hood with lighter material at the core are all hallmarks of a classic mountaineering design. 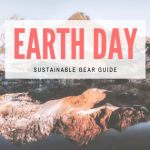 The two-pull front zipper lets you unzip from the bottom for ventilation or passing your belay device through when you’re partner is climbing. Want ultralight? Check out the Mountain Hardwear Nitrous Hooded Jacket, light enough to blow away under a slight breeze, yet still warm for four-season layering. The contoured hood wraps around your head to maintain a low profile, and the fit is athletic to eliminate extra material flapping in the breeze. 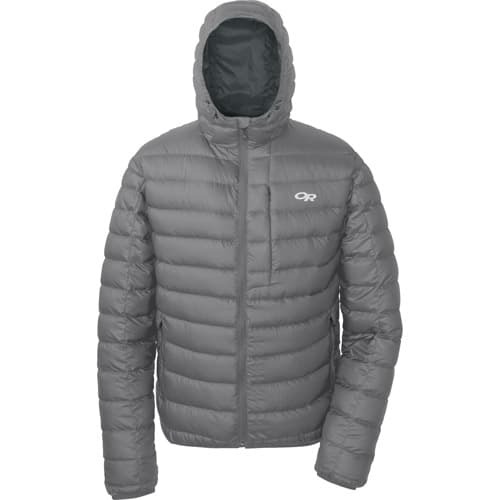 This one will disappear into your pack when you don’t need it, but steps up with serious warmth when you do. The Outdoor Research Transcendent Down Hoody packs a lot of bang for the buck. 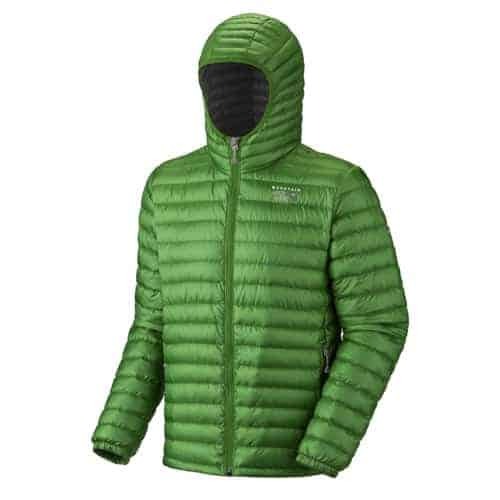 Sporting a lot of the same features as the other jackets featured here, like handwarmer pockets and a Napoleon chest pocket, the Outdoor Research down hoody brings the price down with more affordable 650+ Fill Power Goose Down, while only adding a few ounces to the overall weight. The Lole Elena Jacket combines function and fashion in a down hoody that doesn’t look too techy to wear out on the town or apres-ski. Eschewing the typical Michelin Man cut, this down hoody throws some curves into the design without compromising performance. Like the Patagonia, the Lole also takes advantage of recycled materials to up the green quotient. 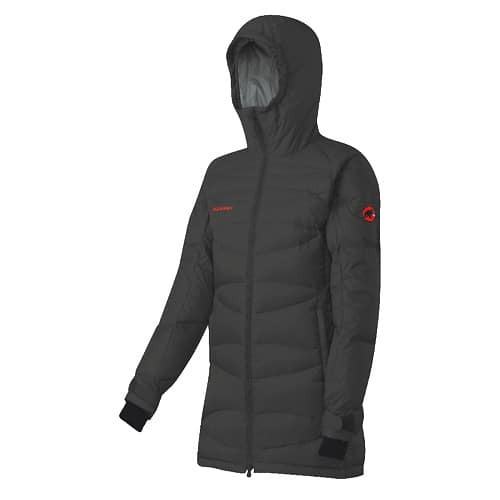 And the women’s Mammut Pilgrim Parka draws the hemline a little lower for extra all-over warmth. Almost like wearing a sleeping bag when it comes to luxurious comfort, this down hoody also cuts a feminine silhouette. Soft lycra wraps around your wrists to keep breezes from sneaking up your sleeves without having to cinch down bulky hook-and-loop tabs. If you live in a particularly wet climate, synthetic insulation may be the best choice for you. Synthetic insulation can maintain some heat-retention even when wet, which down does not. Synthetic fill isn’t as light or compressible as down, so it’s a trade off. 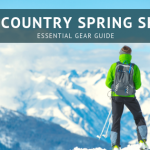 See our full line of down and synthetic insulated jackets for men and women, and let us know if you have any questions as to which will be best for you. * Fill power is a measure of the “loft” of goose down. So looking at our jackets, 800 fill power means that one ounce of this goose down will fill 800 cubic inches of space, where as 600 fill power down will fill 600 cubic inches with one ounce. The higher the number, the warmer the jacket is for its given weight. The higher the number the more compressible as well, when you’re stuffing your jacket into your backpack.